IN the shadows of BAM7, with curtains closed on the international saga, Australia’s melee super major ushered in a new storyline this year as the local crowd took centre stage. There were no ‘gods’ in play, no MIOM top 20 stars, just Australia and New Zealand’s best battling it out for the coveted boxing glove trophy. In eventual champion Nick ‘SANick’ Siemelink’s mind the script had already been written, all he had to do was follow it. Forced to ad-lib through the loser’s bracket, following a shock loss to ACT Ice Climber main Wibbles, SANick ultimately arrived at the final act he’d anticipated – a clash of light versus dark – good against evil. There was nothing coincidental about the South Australian champion’s choice of white when he sat down to Marth ditto Te-Tuhi ‘SIN | Spud’ Kelly in grand finals of BAM8. As far as he was concerned it was a pre-ordained finale to a story arc harking back two years to when his melee journey began. “I like my little story arcs in my life. It just felt like it was meant to be I should play the white Marth,” SANick said. There was never any doubt in his mind as to who the hero of this story was. 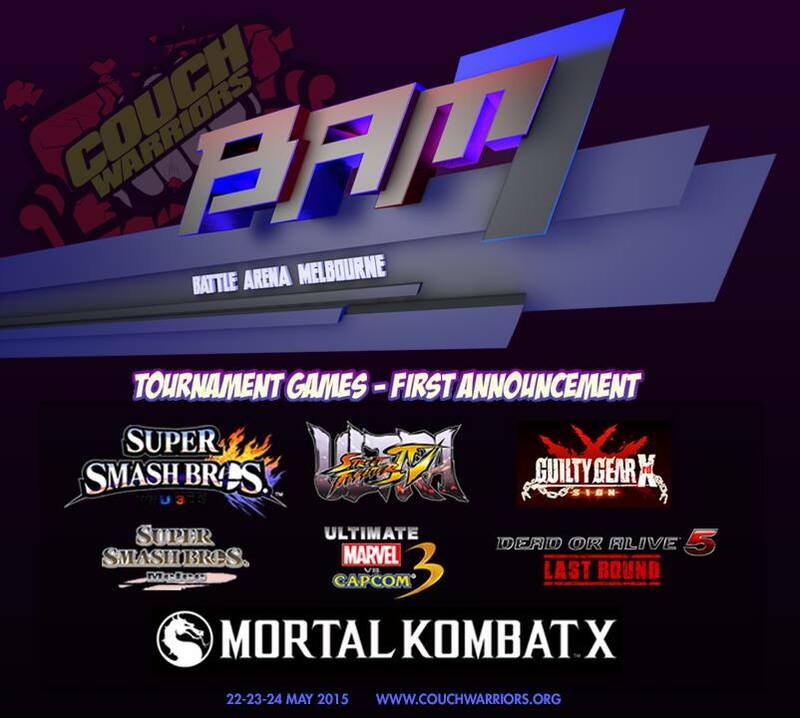 Monthly – CouchWarriors Ranking Battles – Sunday Mid Month, Brunswick Mason’s Hall. Next Monthly is Sunday, August 17th. August 23-24, 2014. Melbourne University. Oct 31-Nov 2, 2014. Melbourne Exhibition Centre. PLUS – Make sure you support these Upcoming Fighting Game Majors!